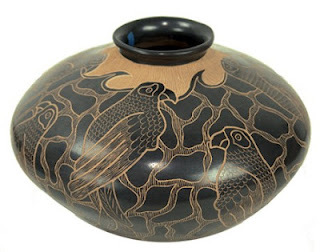 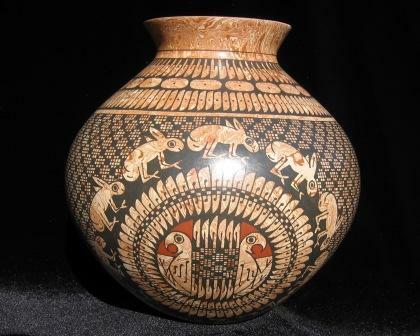 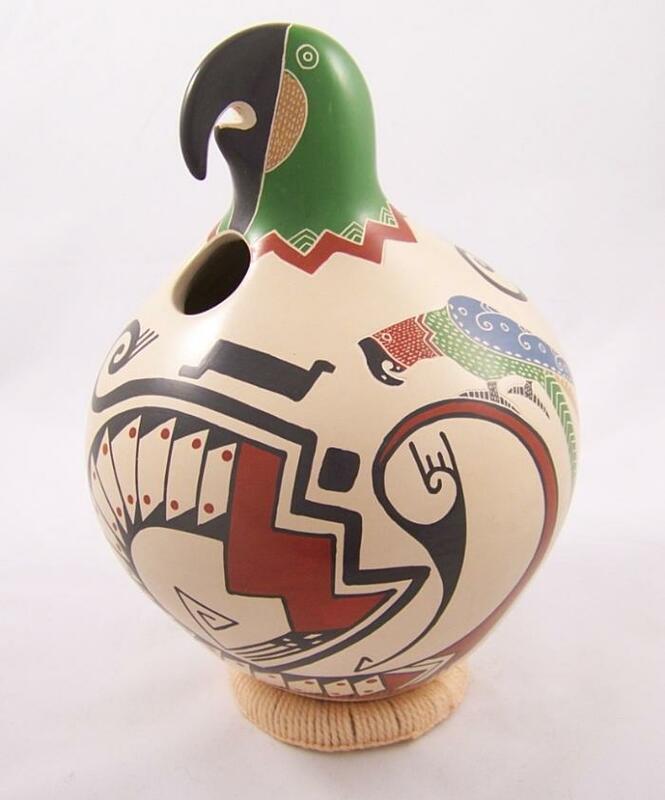 Along the Palanganas River near the ancient ruins of Casas Grandes, in northern Chihuahua, Mexico, a local self-taught potter named Juan Quezada founded a native art movement inspired by traditions that had died out around the time of the Spanish Conquest. Mata Ortiz pots are hand built without the use of a potter’s wheel. Shaping, polishing and painting the clay is entirely done by hand, often with brushes made from children’s hair. All materials and tools originate from supplies that are readily available locally. 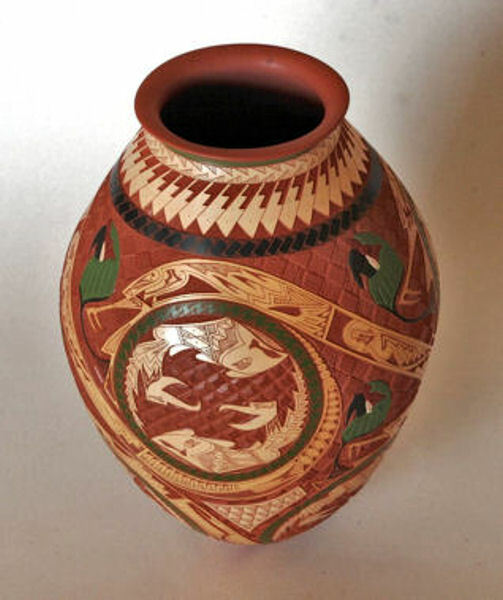 The preferred fuel for the low temperature firing is grass-fed cow manure or split wood. 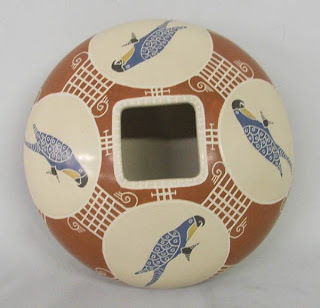 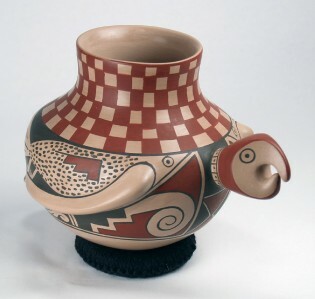 Each of these characteristics derive from the ancient pottery traditions of the region, however Mata Ortiz ware incorporates elements of contemporary design and decoration and each potter or pottery family produces distinctive individualized ware. 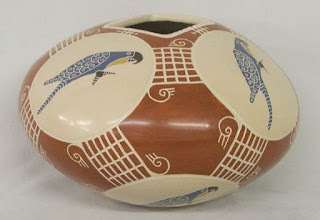 Mata Ortiz Pottery by Vidal Corona. 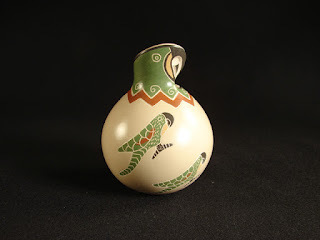 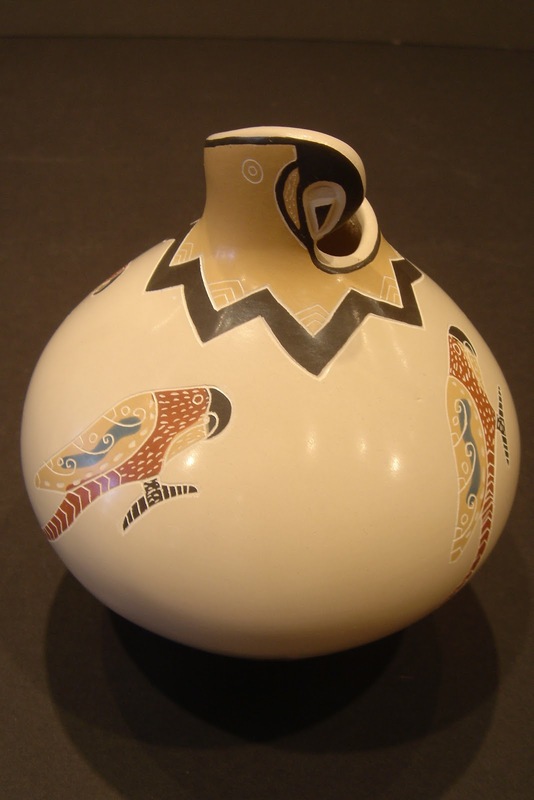 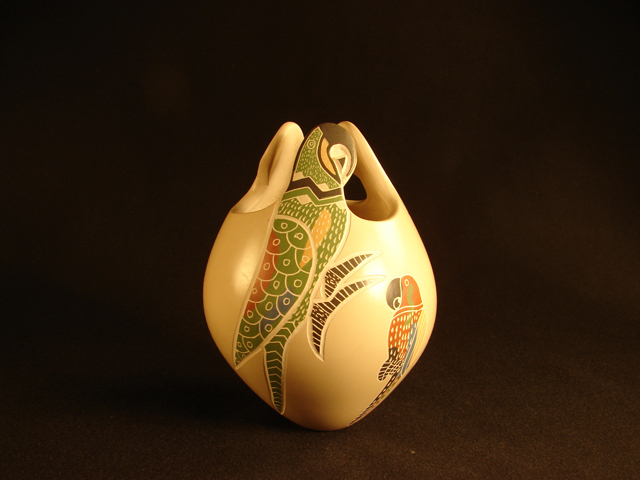 Mata Ortiz Pottery Jar by Lupe Soto. 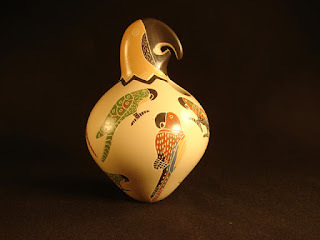 Mata Ortiz Pottery by Sabino Villalba. 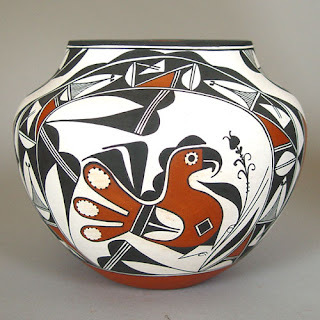 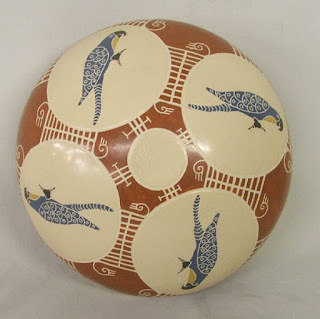 Mata Ortiz Pottery by Franklin Peters. 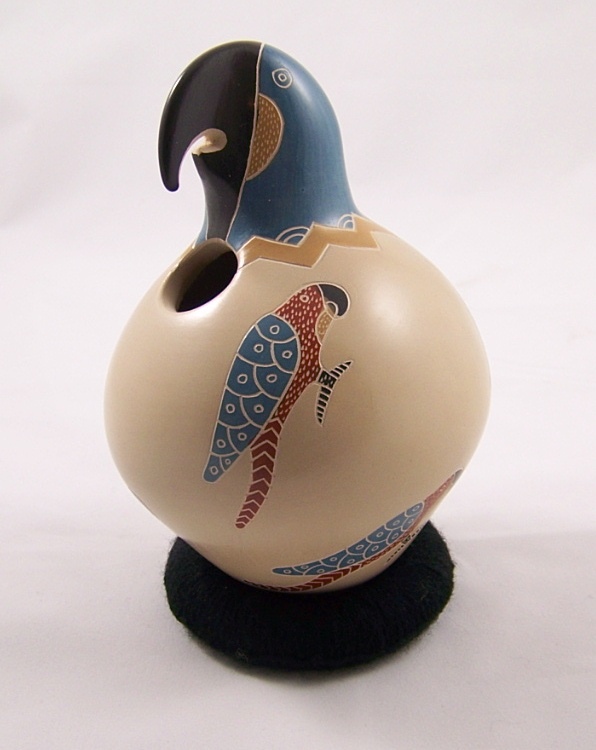 Mata Ortiz Pottery by Hector Quintana. 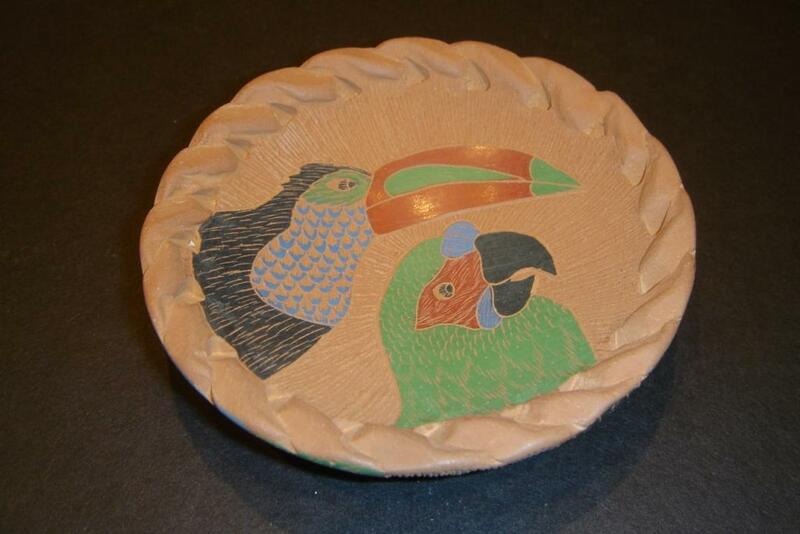 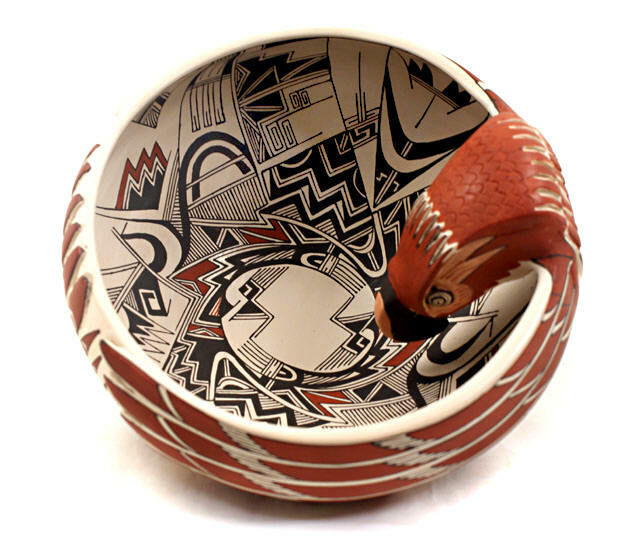 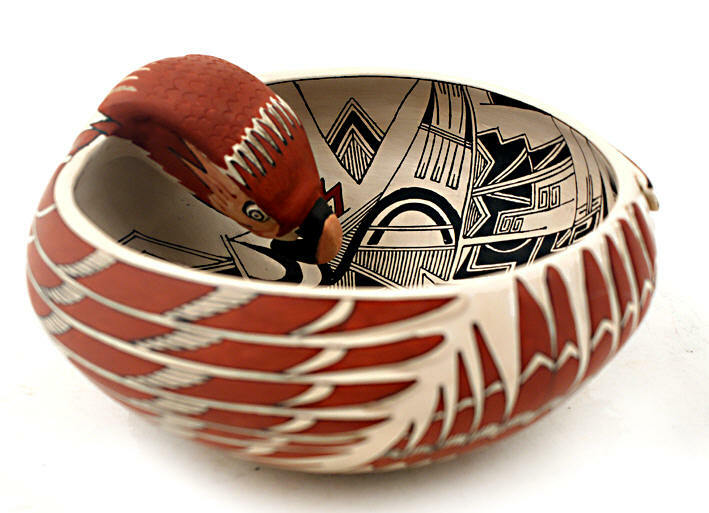 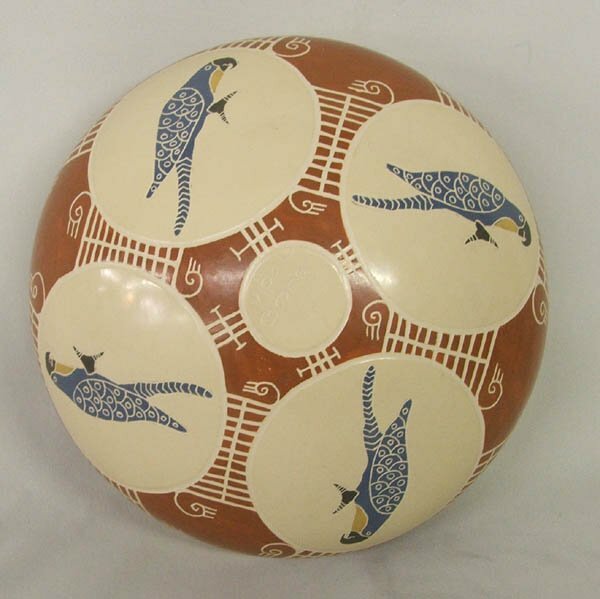 Macaw cazuela bowl, by Manuel Rodriguez Guillen. 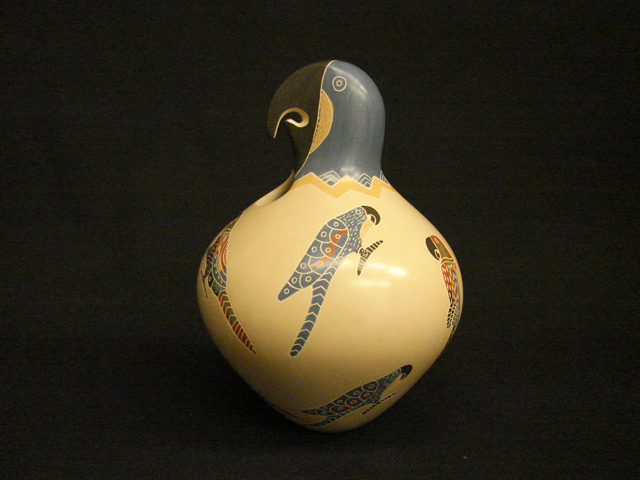 Olla Pottery by Paty Ortiz.